Four countries border Thailand: Cambodia to the east, Malaysia to the south, Myanmar (Burma) to the west and Laos to the north. While Thai food seems to be everywhere in New York City, Manhattan also has Burmese, Cambodian (Khmer), Laotian and Malaysian restaurants. After fleeing Phnom Penh in 1975, chef Minh Truong lived in Vietnam and then Thailand before moving to the United States in the early 1980s. Some of the items on the menu are from neighboring countries, but the majority are Khmer. Cambodian staples like amok and beef salad will be recognizable to anyone who has visited the motherland or even South Philadelphia. Khmer cuisine is generally less spicy than that of neighboring Thailand or Laos. When you enter Angkor Cambodian Bistro, you’ll be greeted by a long-lobed Buddha head. The inside is elegantly decorated with low lights. The exposed brick walls are adorned with paintings of Angkor Thom and other relics of the former Khmer empire. If low light (like the Pearl Jam song) is not your thing, there is also outside seating. After dining, you may want to go shopping for elephant and Buddha head pillows. 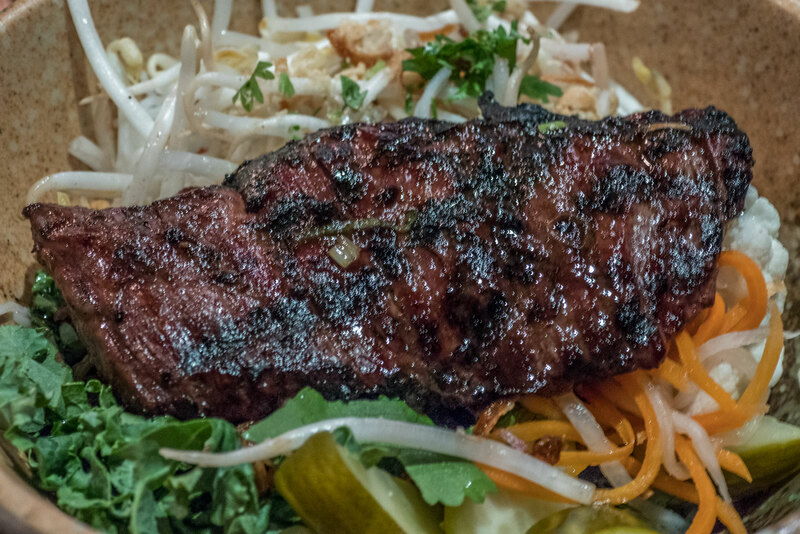 Khe-Yo is New York’s first Laotian eatery. Most dishes are spicy, but the spice can be tamed with the traditional sticky rice which comes in a small bag. The menu is fairly simple, but executive chef Soulayphet Schwader has certainly added his own touch to each dish on the menu. He urges diners to eat with their hands, but utensils are provided. Neither the inside nor the outside make it apparent that you are in New York’s only Laotian restaurant. Besides the elephant mural on the exposed brick wall, what kind of food is served there is anyone’s guess until you sit down and look at the menu. Dishes are meant for sharing and lean more towards meat than fish. Laos is, after all, a landlocked country. 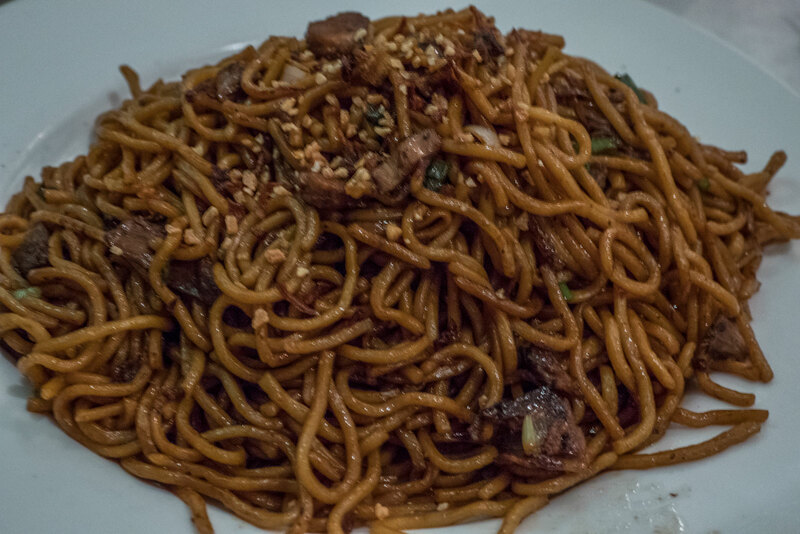 Hidden in an alleyway between Bowery and Elizabeth Street, West New Malaysia has nearly 250 items on its menu. Although there are some Chinese and Thai dishes, most are Malay. Around half of the items have the “spicy” logo next to them, but the chef is more than happy to dial back the spice to accommodate. 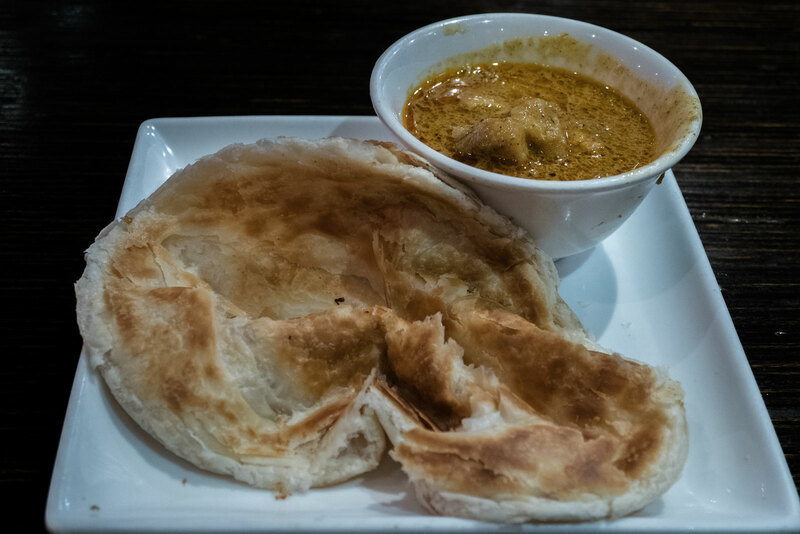 If you’ve never had Malaysian food before, roti canai is a very common appetizer. Mee goring and chow kway teow are common noodle dishes. There are more than a dozen soups on the menu. Skip the wonton soup, which you can get at nearly any Chinese restaurant and try the crispy fish head soup. If you need some exercise after eating at West New Malaysia, the pedestrian entrance to the Manhattan Bridge is just one block away. Like Angkor for Cambodian food and Khe-Yo for Laotian, Cafe Mingala is the only restaurant option for Burmese food in New York. Although Cafe Mingala may look inconspicuous from the outside, the art on the inside walls, combined with the food will make many visitors want to check flights to Yangon. The walls are covered with murals of historic Burmese sites like Inle Lake, Mandalay, and Pagan. Although they’ve been open since the early 1990s, when you step inside you can feel like you’re stepping more than a couple decades back in time. Myanmar’s geographic location is reflected in its food, although their dishes are not as spicy as those of neighboring India or Thailand. The thousand-layer bread reflects roti canai, but the Malaysians don’t serve it as a dessert with sweet coconut milk. Satay is available at nearly every Thai restaurant, but there are plenty of items that are uniquely Burmese. For noodle lovers, there’s mohingha which is a common breakfast soup in Myanmar. Street foodies will love the night market noodles. Avoid the papaya salad, which can be found in most Thai restaurants and go for the pickled green tea leaf salad for something more authentically Burmese. Their breakfast is much different than America’s Bacon and Eggs! Lol Sounds like you know where to find good food in NYC! I was ready for you this morning Brian. After a two day pizza craving from your previous blog post, I had pizza for supper. So this morning before reading your blog I ate something. Really, you make everything sound delicious and your photos are going to be the death of me. The worst is, I can’t get any of this food where I live. We do have a very good Thai Restaurant, so guess where I am headed next! What part of South Africa? Richards Bay on the East Coast, and north of Durban. It is a fairly rural part of KwazuluNatal called Zululand! Ohh! Love what you’ve had! Those plates look so delicious. It’s nice to discover new places. First pizza now this! I really should go plan a trip back to NYC already! I will definitely book a food tour next time. Oh wow, It’s cool that you can experience so many different types of cuisine in NY. I’d love to check these places out. NYC is as diverse as any city can get which is awesome because you get to taste all these authentic food from different countries. I really appreciate this list as I love tasting different kinds of dishes from various cuisines. I love all the food that’s available in NYC. I’m super picky with Thai though. I’m not sure what it is, but sometimes, I end up so disappointed with it. I’ll keep some of these in mind if we end up in NYC and craving Thai. I love Thai food! I plan on going to Thailand next year and definitely looking forward to trying local cuisine! But in the meantime it’s always nice to have restaurants that can give us food from a different place without going too far. This is what I call delicious post! All the choices of restaurants from the various SEA countries show how diverse NYC is. For someone who plans a trip to NYC this post is definitely a great reference for food tour. I have never eaten these countries’ foods! How sad is that, haha… I will definitely have to check out these restaurants the next time I’m in NYC. when we talk about different cuisines to explore in one city, NYC – ‘the melting pot’ comes first in my mind! 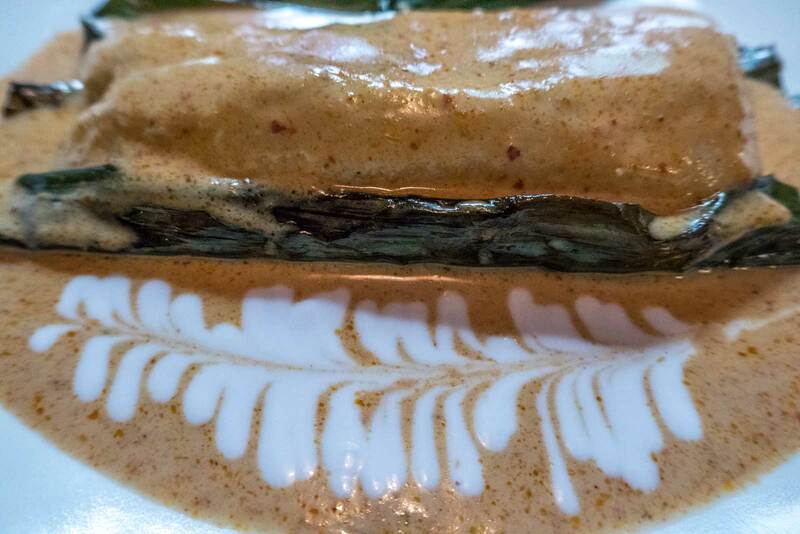 I have never tasted Cambodian food and this gives me another reason to visit NYC soon! Have pinned your post for my reference! Ana, how do you like Malaysian? good food from a good destination equals good fun time, malaysia, manhattan and thailand… hmmmmm, such good combination in one. Ooo- nice and cosy and my stomach is growling- awesome pics! Looking forward to more of these posts. All of those dishes look so yummy! you picked a great destination to travel to. I have never been to New york and am not much aware of the food scenario there. But it was great to learn from your post. In the UK we have some very different food specialities. I can’t believe that I still have not tried Cambodian food, it looks so good, I just have to remedy this. Thanks for this foodie guide. Blessings! clearly I don’t know my geography well. When I first saw this post, my mind went immediately to Le Colonial (French Vietnamese) on the Upper East Side. It was one of my all-item favourites when I lived in Manhattan. These all looks great too. I miss the outstanding food quality and diversity of restaurants in NYC. Perfect foodtrip! Would love to eat at CafÃ© Mingala too! Very interesting food trip showing the roots of the places where food was originated. Thanks for sharing! These all look so delicious! i love Asian food but can’t really say what is from where. I think I’ve never tried those Thailand’s borders. Wrote down these places so I can try something new while in New York next time. Looks delicious! It’s has been years since I last visited Manhattan. So much great food there! Great Guide! I love all forms of Asian food, however, we don’t have a lot of it here in Scotland, a couple of Malay and lots of Thai and Chinese. I think I need to come back to the States very soon! I’m actually a hugeeee addict when it comes to Thai food. I’ve been eating it so many times lately, actually, also Korean and Chinese… I think that Asian food is just too tasty to waste, so when I will go to the States I will definitely try to check these places out. It’s great that the chef from the Malaysian restaurant can go back a little bit with the chilies so that non-Asians can enjoy the deliciousness of the Malaysian food. I have travelled through Malaysia and had the roti canai, it was so delicious! But I have also tried some very, very spicy dishes that left me crave for yogurt, to calm down the spiciness. The food looks absolutely delicious.Its so good to know that Manhattan has cuisines from all around the world and that too authentic ones.No wonder Americans have got a very good idea about the other cuisines. So I’ve never been to any of those countries, but some people, my traveler friends told me stories of their travels around Cambodia, Malaysia and Thailand. I’ve always been so curious about Asia and discovering the food, the culture and the surroundings has always pinched my curiosity. It’s on my bucket list. I know there are delicious restaurants in Manhattan and I’ve tasted so many of those! Authentic ones are really hard to find, and that’s such a good idea you had to taste the other cuisines! So interesting to find food from all Thailand and its bordering countries in Manhattan. I am sure it would be an amazing experience to eat in these restaurants and get a slice of Thailand , Cambodia, Malaysia and Myanmar sitting in Manhattan . It is really a delight to see Thai food available all across the world. We had some in Switzerland, not long back. I like thai food actually. And your guide is going to help me when I am in Manhattan looking out for food options. Ooh those dishes do look delicious! Great to know it’s possible to eat alternative cuisines to Thai, which is always so readily available! Absolutely must try Burmese one day!